No mincing words for Marco Rubio on the Orlando shooting. Wait, what? 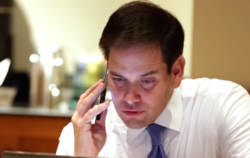 They were bitter rivals during the GOP presidential primaries, but now Donald Trump is urging “Little” Marco Rubio to run for reelection to his Florida Senate seat. 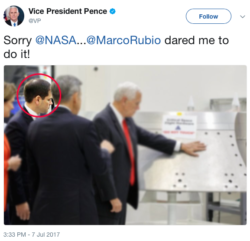 In a tweet published Thursday night, Trump somewhat unexpectedly suggested Rubio run for reelection to his soon-to-be-vacated seat. 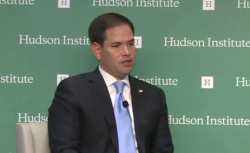 10/12/2015 - Marco Rubio: Why won’t Obama, Hillary Condemn Palestinian Terrorism?